Good: As with most base Topps sets, the checklist covers all the major players and tons of rookies. The photography is strong, particularly on the team cards. It offers good fun working towards a set. Bad: Too many inserts, although it's not as bloated as baseball. 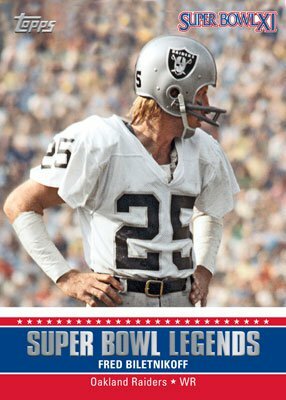 Super Bowl Legends online redemptions are not nearly as good as their baseball equivalents. 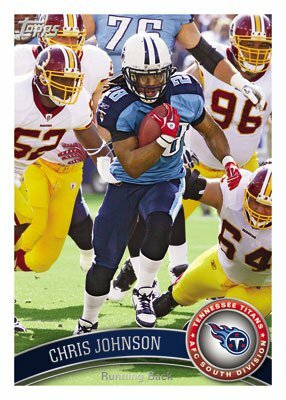 The Bottom Line: 2011 Topps Football is an excellent entry-level set, particularly for set builders. The cards are nicely designed, emphasizing the players and their accomplishments and not a lot of glitz. Don't buy it expecting any major hits, although there are a few. Yes, it's the same basic design as 2011 Topps Baseball. But it works. I also like the consistency it brings. The real strength in this set comes in the photography. Almost every card has a solid action shot. In particular, I'm a big fan of the team cards that use dynamic shots. Card backs do a good job of offering stats. A comprehensive checklist is a must for any release aimed at set builders. 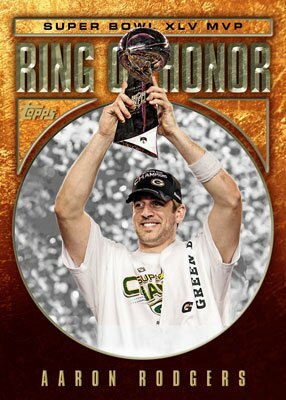 2011 Topps Football does just that. At 440 cards, the base set covers all the major players on every team. The checklist also goes deep with the rookies, which is a welcome thing in an affordable base release. 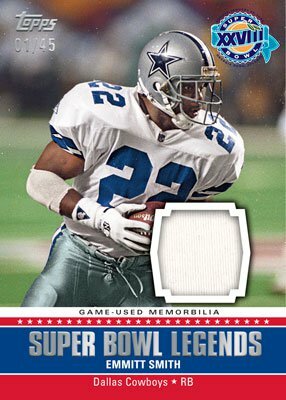 2011 Topps Football is structured in such a way that collectors don't need to bite their nails hoping to get the big hit to save their box. Chances are, they're not going to land one. The value in this set comes in sorting through the cards and enjoying them. Relatively inexpensive, the set can be savored like a good batch of homemade soup. 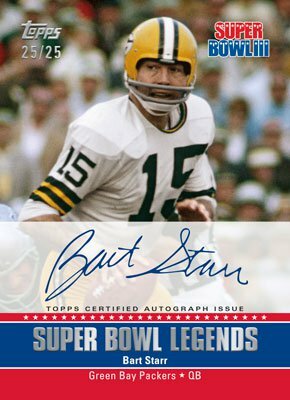 Although not as good as the baseball online redemptions, the Super Bowl Legends do add a little value when you unlock one of the cards, which are gorgeous. 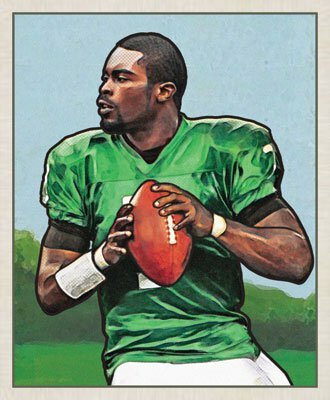 I had a blast opening 2011 Topps Football. Oodles of inserts aside, every pack was crammed with attractive cards that work toward a comprehensive set. Boxes will still leave you well short of a complete set, but the set's enjoyable enough that I don't mind having to do so. 2011 Topps Chrome FB #093 Randall Cobb Green Bay Packers ROOKIE AUTOGRAPH !! 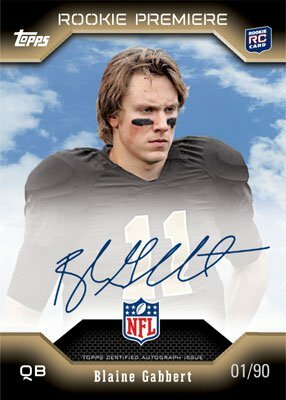 2011 Topps Football releases toward the tail end of Summer, bringing with it a checklist filled with old favorites like Sketch Cards and Rookie Premiere Autographs as well as some all-new additions to the insert checklist including 1952 Bowman, "Faces of the Franchise", "Game Day" and "Super Bowl Legends" cards. 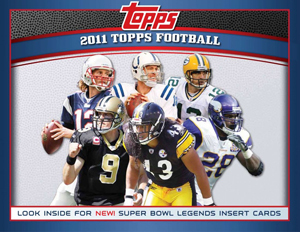 2011 Topps Football delivers 1 hit per standard hobby box and 3 hits per hobby jumbo box. 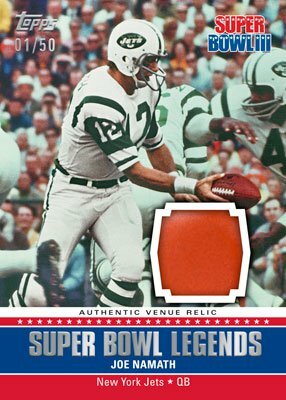 440 card base set comprised of rookies, veterans, team cards, playoff moments and Pro Bowlers. 1 Rookie Card per standard hobby or retail pack. 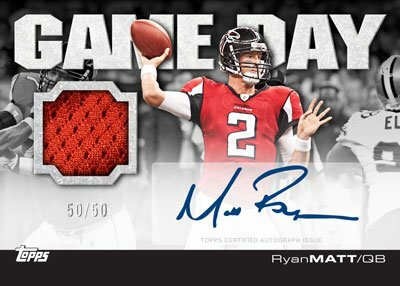 Sketch cards, base set rookie variations, Ring of Honor and Rookie Premiere Autographs return! NEW full color 1952 Bowman insert set! 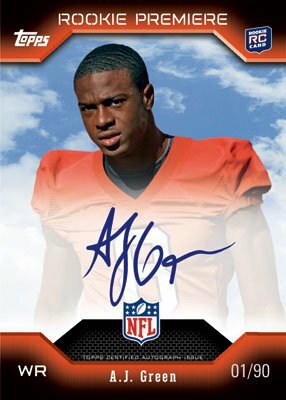 NEW team themed "Faces of the Franchise" insert set featuring autographed versions! 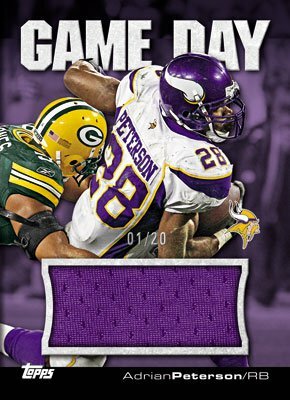 NEW Rivalry themed "Game Day" cards! 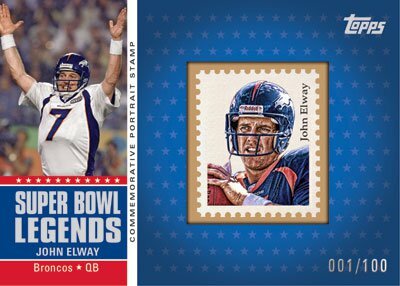 NEW "Super Bowl Legends" inserts, relics, autographs and autographed relics featuring Super Bowl MVP's of yesteryear! 2011 Topps Rising Rookies FB Unopened Factory Sealed Box Cam Julio PSA? Loaded! 2011 Topps Triple Threads FB HOBBY Mini-Box Cam Newton RC Auto Jersey Booklet? CAM NEWTON 2011 RC LOT OF 17 PSA 10,BGS 9.5,TOPPS CHROME,XFRACTOR,PLUS MORE!!! 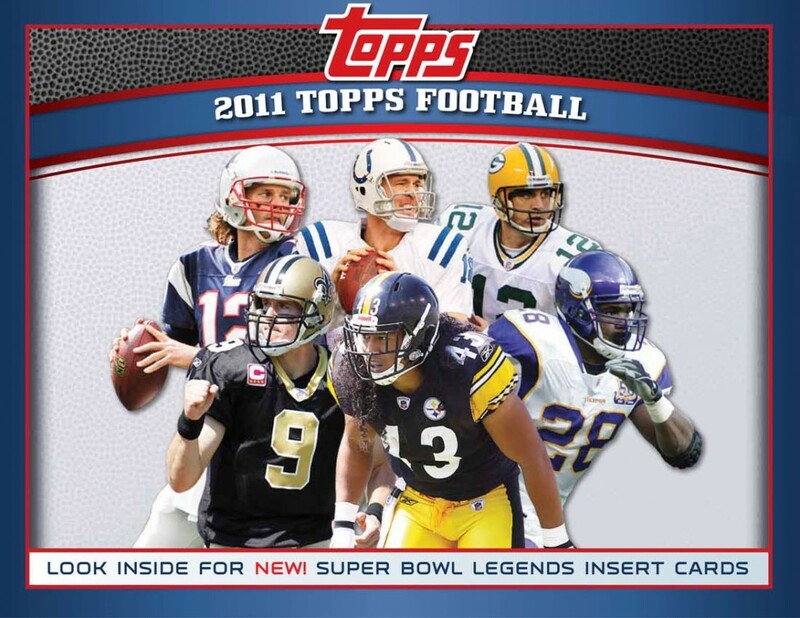 Peyton Manning SUPER BOWL XLI 2011 Topps LEGENDS SBLG-8 COLTS i combine! 2011 Topps Triple Threads FB HOBBY Mini-Box Cam Newton RC Auto/Jersey/Booklet? 2011 Topps Chrome Factory Sealed Football Hobby Box Cam Newton AUTO ROOKIE ??? 2011 Topps Rising Rookies Factory Sealed Football HOBBY BOX Kaepernick AUTO RC? 2011 Topps Football Factory Sealed 16 Pack Retail Box-192 Cards ! Loaded ! 2011 Topps Chrome FB HOBBY Pack Cam Newton Watt Murray Gold Refractor RC Auto? This is an awesome card set. I think the design really helped make the pics stand out. I have a 2011 Topps Super Bowl Legends Coins Bronze #SBLCVI Roger Staubach card and I want to know how much it’s worth go to my website and post in my comments what it’s worth if you know. I really like this set but I going over the checklist to what I have to get to complete the set but the numbers on the card don’t agree with the checklist number. I was wanting to know if the code number on the reg.cards r the same as the variations, same with baseball, do the 2011 sparkle bb.cards have a different code than their counterparts, any info on the matter would b greatly appreciated . Thanks, Clinton E.